It all started when Joey decided that she wants another litter. 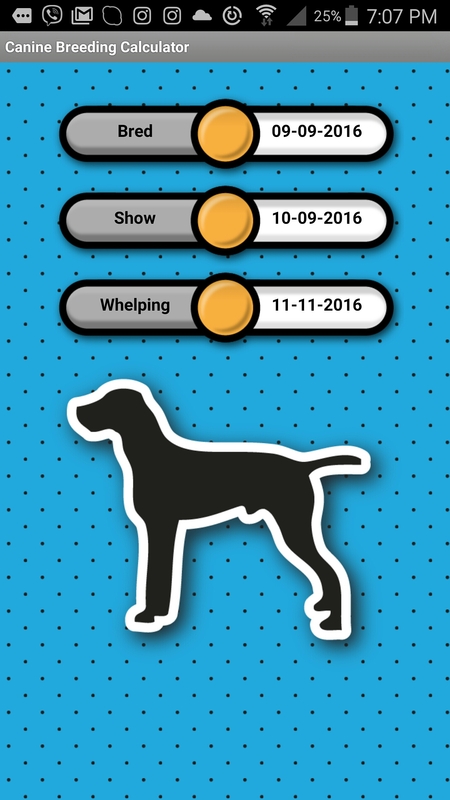 We wanted to be prepared when Joey whelps her second litter so we were closely monitoring her health, diet, temperature and temperament. 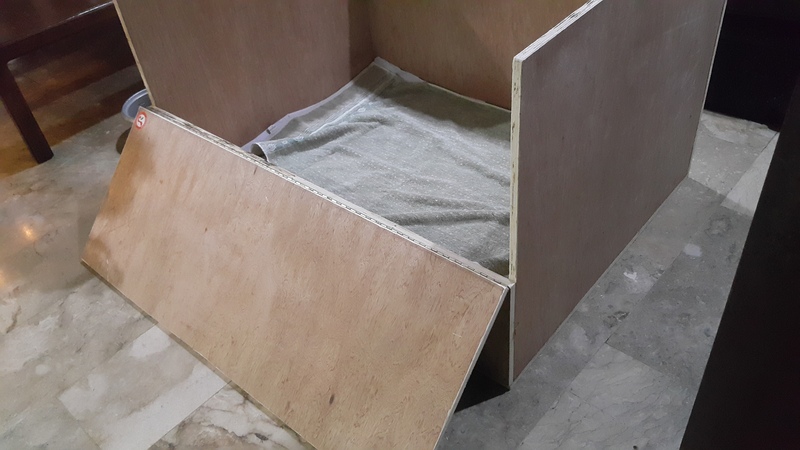 I also committed to myself that I would create a whelping box similar to the first one where her pups would be kept safe for the first couple of months. Joey on 10/11/2016. One month to go before the expected due date! Right after All Soul’s Day (11/01/2016), I already had this nagging feeling that Joey is close to giving birth. I had to keep looking at the app and tell myself that I still have 10 days to go. I started to buy the materials for the whelping box on the morning of 11/05/2016 hoping that I would have enough time to finish. I guess Joey had other plans! 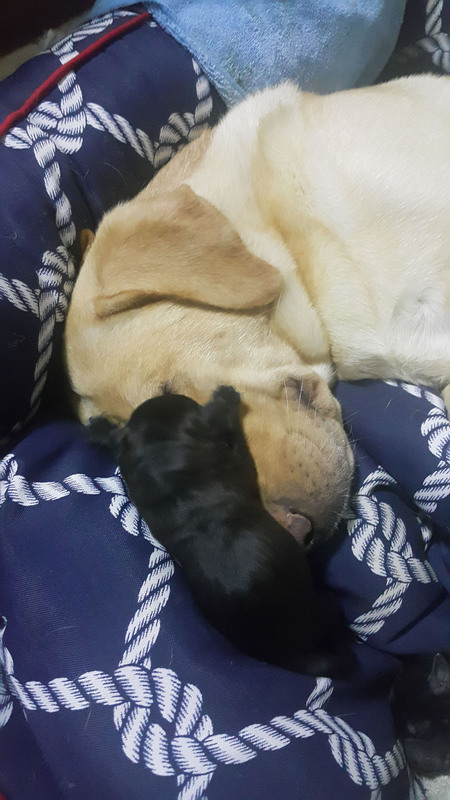 She gave birth to her first pup for the second litter right after lunch. Exactly when I was in the middle of constructing her whelping box. 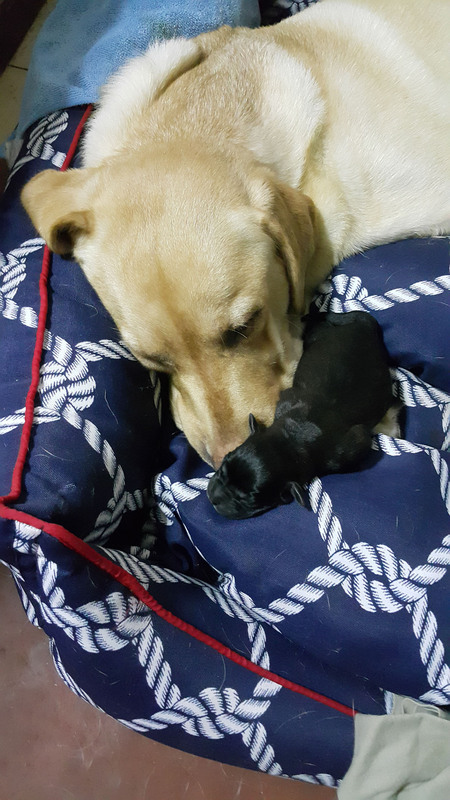 Joey and her first pup for the second litter! It was a bit hard constructing her whelping box while also being kind of her nurse. Wifey and I would take turns watching over Joey as she gave birth to each of her nine puppies. 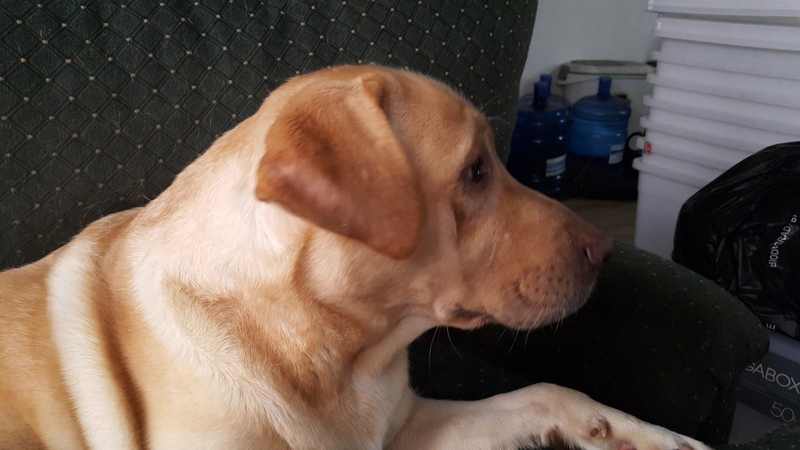 We would then move the pups out of the way when she is resting or when she is having spasms when another puppy is about to come out. Although she gave birth to nine puppies, only seven survived. The other two were not breathing when they came out. We declared them unrecoverable only when Joey has already gotten too exhausted trying to revive them and only after we tried to do a CPR on the lung cavity. The final indicator that the pups were dead was when they let out a small amount of pee which signaled a loss of muscle control – much like in humans on their final seconds. 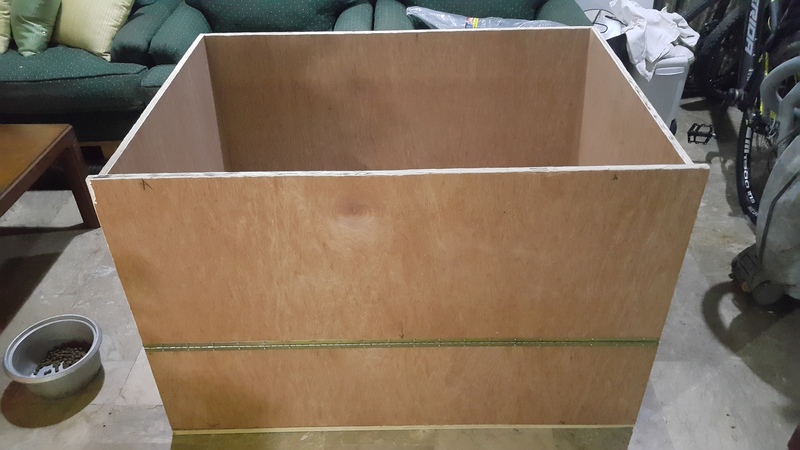 The whelping box I made measures 4ft. long by 3ft. wide which I think is enough for 7 puppies and Joey to fit in. 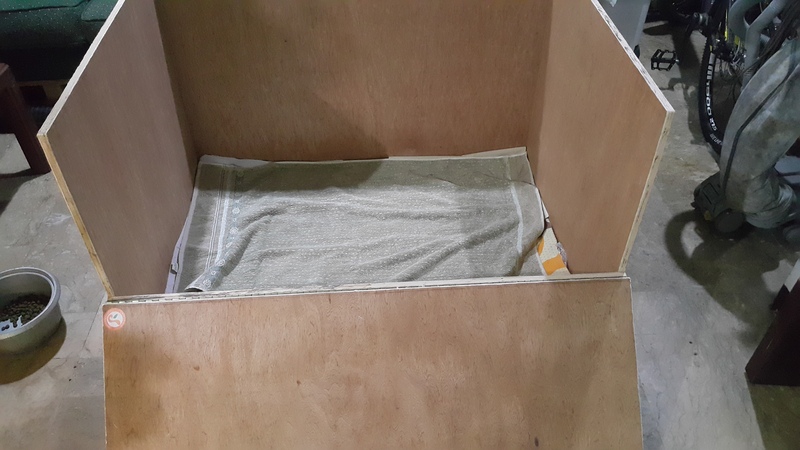 Unlike the first whelping box, I made sure that the whole front is open and can be closed for safety reasons. I used a piano hinge to attach the front ramp to the whole box. Whelping box with the ramp down. 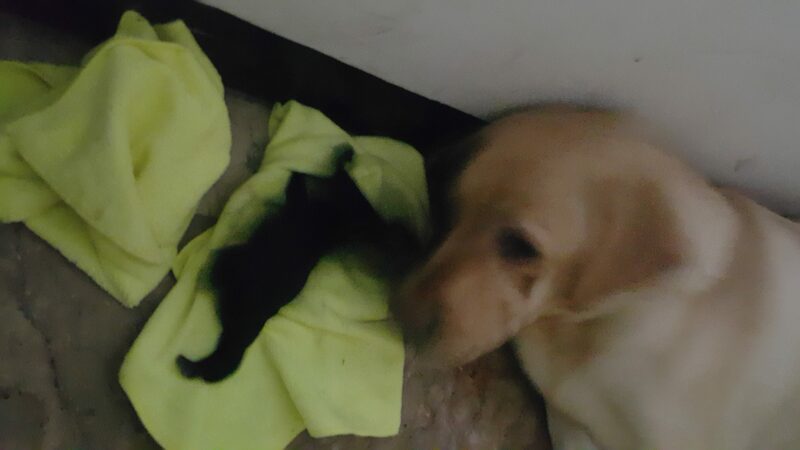 Although I was able to finish the box within the day, we decided not to move Joey and her litter from where she gave birth and just let her recover from exhaustion. We just prepared her box for their movement the following day. We added towels to keep them try and warm as well as some electric fan to keep them cool during days that are hot and humid. Another look of the whelping box from the different angle. 3/4″ marine board all around! 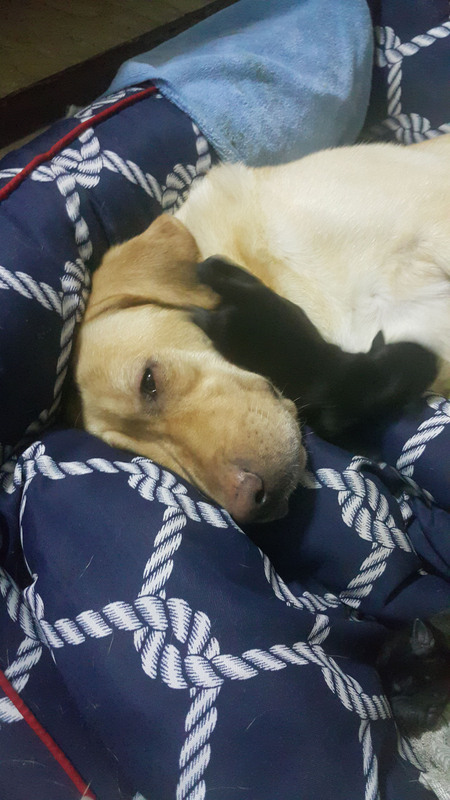 Here are some pictures of Joey resting after whelping her second litter while a curious pup snuggles with her.